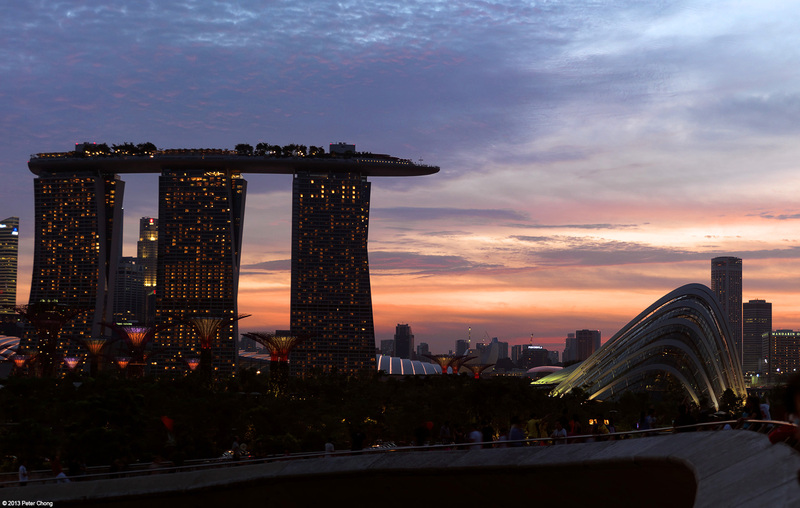 I went to look for some interesting sunset photographs of the Singapore skyline...the iconic Marina Bay Sands Hotel and the bay area. This series of photographs, more later as I will show one each week, will feature some of the photographs I took, culminating in a very wide panorama of the entire CBD. Click on the photograph to get a larger 1920 pixel wide wallpaper.